The market for specialist metal additive manufacturing (AM) services is rapidly evolving as more and more companies realise the advantages of metal additive manufacturing offers over more traditional design and manufacturing techniques. A case study by Renishaw. Global Metal AM company 3D Metalforge was founded in Singapore at the end of 2016. A sister company of 3D Matters, one of South East Asia’s fast-growing additive manufacturers, the company was established in response to rapidly increasing demand for high accuracy three-dimensional metal part manufacturing. Industrial customer requirements for 3D metal printing services are changing dramatically in the region, from a predominance of short-run prototyping and one-off model-making to more volume production of end-use parts. This demanded a dedicated new production facility with a significant investment in metal additive machinery. As an all-new venture in a rapidly evolving manufacturing sector, 3D Metalforge sets stringent selection criteria for its metal additive system purchases. Faced with a wide range of alternatives, the company needed to be certain that the capital investments it made would provide its customers with the service they needed today and well into the future. Additive production samples needed to demonstrate high-quality and the ability to produce a wide range of fine line, high complexity parts. Technical support from the manufacturer needed to be locally-based, for both pre- and post-sale phases. System reliability is paramount for end-use part production, it needed to be proven. The system needed to be easy to use, with a minimal learning curve. The manufacturer will also need to show clear knowledge and understanding of manufacturing and typical 3D Metalforge operations. 3D Metalforge is also very mindful of emerging Industry 4.0 trends. 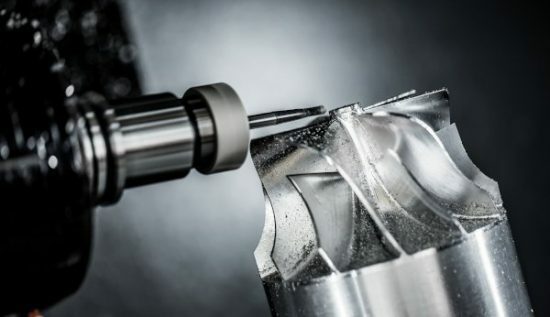 The metal additive systems they purchased would also need to be capable of supporting the key design principles of the ‘fourth industrial revolution,’ including data transparency, connectivity and human-machine interface. One of the first systems to meet 3D Metalforge’s selection criteria was Renishaw’s small footprint AM 400 additive manufacturing system. With a 250mm x 250mm x 300mm build volume, the system is equipped with a 400W laser system with a beam diameter of just 70μm. Its human-machine interface is highly graphical and intuitive in nature. Following an ‘open parameter’ ethos, the AM 400 provides 3D Metalforge with the freedom to optimise machine data settings to suit the metal powder being processed and specific target geometry. The system’s inert gas atmosphere is class-leading and its ‘SafeChange’ handling system minimises contact with powders and process emissions. For the vast majority of the work undertaken with Renishaw AM 400 additive manufacturing system, 3D Metalforge uses Solid Works software for initial 3D CAD design, along with Autodesk to work on part printability when required. Renishaw’s QuantAM, a dedicated build preparation software, is then used to optimise support structures, for aligning the part within the build volume and setting up the final print file. 3D Metalforge also uses Renishaw’s InfiniAM Central, a software specifically designed for remote process monitoring of additive manufacturing systems. Providing near real-time insight into live additive manufacturing builds and access to historic build data, it displays system information in a highly graphical form enabling intuitive in-depth analysis. 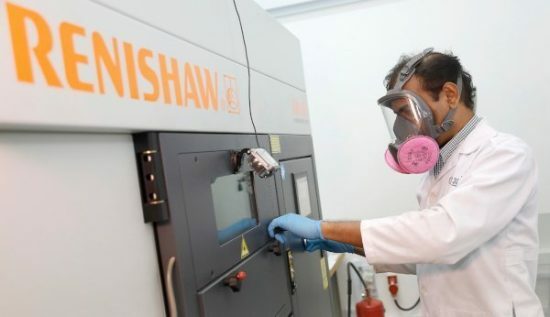 The Renishaw additive manufacturing system has become one of 3D Metalforge’s busiest and most utilised metal 3D printer, with machine up-time, accuracy and reliability cited as extremely good by Mr. Waterhouse. He shares an example on how 3D Metalforge provided a complete end-to-end metal 3D printing service to a technology equipment company. The equipment company looked for a way to optimize its part, a metal tray, and improved its in-product performance. Unable to achieve desired design goals using traditional manufacturing techniques, the company approached 3D Metalforge for an alternative metal printed solution. Since the original part design wasn’t optimised for AM, it was first re-designed. 3D Metalforge introduced lattice structures to reduce weight and new shaping to enhance part alignment. A few prototypes were produced and tested within the end-product assembly before finalising the part design. A few hundred of these intricate metal parts have so far been produced using the AM 400 system for a quality control pass rate of 100 percent. The AM design has reduced the weight whilst enhancing its performance.